So, here begins the experimentation. I’d never made butter before today. Apparently many people made it once in elementary school, shaking heavy cream in a Ball jar until it separates. (Is that all it is? because that sounds like it would take forever.) I missed out on that activity, but let me tell you, using a food processor has got to be MUCH faster. This really couldn’t be much simpler. 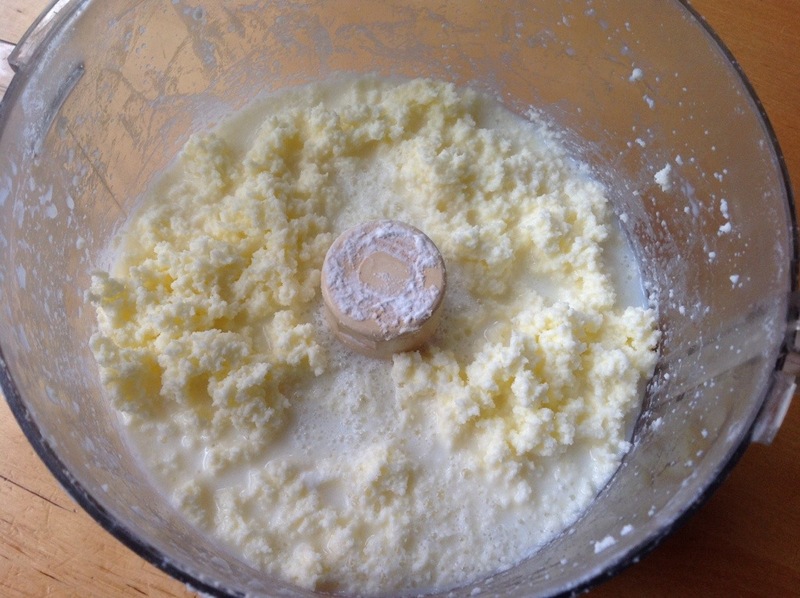 Put heavy cream into processor, whip, keep going. Inspired by the cultured dairy section in Aki Kamozawa and Alex Talbot’s terrific new book, Maximum Flavor, I figured I’d give it a shot. First step: make butter, then culture the buttermilk and think about eventually making crime fraiche, sour cream, or ricotta. It wouldn’t be fair to say that my kids helped on this one, although they did watch along with me as the cream whipped (which we tasted) and then deflated, changing slowly but surely, and then breaking. I recombined these in the quart jar and plan to let them sit in the fridge for 48 hours or so before straining and kneading. The taste is already pretty remarkable. I’m curious to see how it develops. 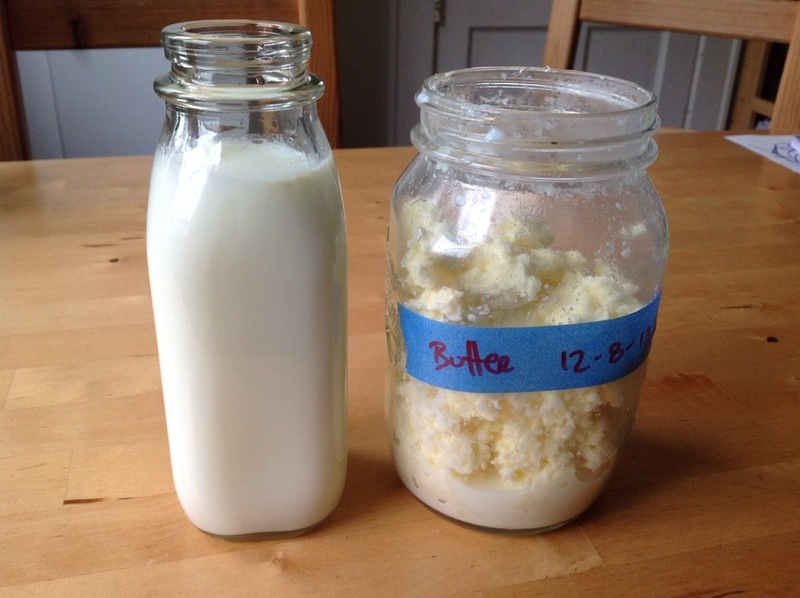 This entry was posted in books, dairy and tagged butter, culture, dairy, ideas in food. Bookmark the permalink.